Mortgages for directors are often assumed to be easily obtained, however it can be a struggle. Certain lenders often tend to see self-employed borrowers as high risk. It’s also quite common for self-employed individuals to legally minimise earnings. This is to minimise tax bills, which can often have drawbacks when applying for a mortgage. It’s often the case where company employees fly through mortgage approval whereas company directors may struggle. The assessments and criteria that lenders have for self-employed applicants vary considerably, particularly mortgages for directors. This is because every lender has it’s own criteria and in addition, every business has its own story. Maybe you’ve only been trading for a year or the majority of company profits are retained in the business. Lenders may only consider mortgages for directors who have been trading for three years whereas some lenders won’t consider retained profits in a business at all. Mortgages for directors are far from straightforward. Our specialist brokers try and make the process as simple and easy as possible. Even brokers who claim they have access to the whole market are of no use if they’re inexperienced with mortgages for directors. We have specialist mortgage advisors who have a wealth of experience in this field and secure mortgages for self-employed applicants on a daily basis. We’ve written this guide with company directors in mind and if you’re still unsure, make an enquiry and a specialist advisor will explain everything to you. The first question we’ll always ask you if you’re self-employed is the length of time you’ve been trading. This is because trading history is one of the biggest things that lenders look for when assessing mortgages for directors. Lenders base their mortgage assessment around risk. The longer you’ve been trading for should in theory make your application stronger. If you’ve been trading for less than 12 months, then in all honesty you’ll really struggle to find a mortgage. It’s only possible to get a mortgage if you’ve been trading for less than 12 months if you have written contracts outlining future income. This is quite common with doctors and professionals who haven’t been trading long. If you’ve been trading for one year, you’ll have one years’ worth of accounts at least. As the tax year always starts and finishes in April, the chances are your first year of trading will fall into two different tax years. This is important as not all lenders will consider you in this situation. Lenders may make you wait until you’ve filed your accounts for the second tax year. The good news is there are lenders that won’t make you wait until the next tax year. This is why it’s vital to place your application with a lender that suits your criteria! If you have at least two years’ worth of accounts then most lenders will usually consider you for a mortgage (as long as the rest of your application is ok). Having three years’ accounts should provide you with access to every lender, as long as the affordability, credit check and loan to value all fit your declared income. As each self-employed mortgage is assessed individually, the deposit amount will vary. If you have clean credit and have been trading for over 2 years then you may only need a 5% deposit for a residential purchase. This is subject to your requested loan amount meeting affordability checks. Although mortgages for directors can be trickier to place, you should have access to the same deals as everybody else. Higher deposits will mean a lower LTV, which will always make your application stronger. Not only will you have more lenders to choose from, but you should qualify for some great rates. Having a 15% deposit can get you a good deal. Having a large deposit such as 40% can ensure you’re getting the best available mortgage rates. If you need a bad credit mortgage due to poor credit or not enough trading history, then you may need at least a 15-20% deposit. If you’re still unsure and require an answer tailored to your own situation, then you can make an enquiry. One of our specialist advisors can call you to explain everything in greater detail. Lenders have always assessed maximum mortgage amounts based on income. Since the Mortgage Market Review, lenders also assess outgoings in addition to income. This is to conclude a more informed decision about affordability. The reasoning behind this is because outgoings are just as important as income. This allows lenders to assess if you can actually afford to repay the mortgage on a monthly basis. Although lenders look at your overall financial picture, they still look at your income as an initial guideline for the maximum amount you can borrow. Although this is an article about mortgages for directors, we’ve included the below to provide information regarding the general market. If you have clean credit or even light adverse credit, the general rule of thumb is that you can borrow up to 5x your annual income. If you have adverse credit then you can usually borrow up to 4x your annual income. However, when it comes to assessing income from a self-employed applicant, the affordability tests from lenders vary quite considerably. If you’re a sole trader, then lenders will assess your income based on your net profit. This can sometimes be tricky as a lot of sole traders will usually show the lowest net profit (legally) possible on their tax return, in order to pay as less tax as possible. Even if you have a huge turnover, lenders won’t pay attention to anything but your net profit. Most lenders usually calculate average net profits from the last 2-3 years of trading history if you have it. If you’re in a partnership, lenders will assess your income based on the share of your net profit. For limited companies, lenders will assess a directors income based on the salary they take from the business. Salaries will be considered along with dividends or a share of net profit. Directors are usually advised by their accountants to take a base salary up to the tax-free threshold and then to draw dividends for any further income. As a limited company, a lot of profit is left in the business. This is because directors may want to use the finance to further expand, not to mention paying less tax! The drawback to this is lenders will only consider income that is actually withdrawn from the business. If your company made a profit of £100k but you only took £20k through a salary and dividends, then high street lenders will base your assessment on £20k and the company profit of £100k will be irrelevant. This is the main reason that mortgages for directors can hit stumbling blocks with mainstream lenders, as repaying a mortgage in reality wouldn’t be a problem. If you find yourself in a similar situation, our expert advisors can help. We work with specialist lenders who assess income differently to mainstream lenders. This can ensure you really are getting the maximum mortgage available to you across the entire market. As discussed above, mainstream lenders won’t consider profit retained in the company. Nonetheless, there are specialist lenders that will consider company profits retained in a business. This means if you have company profits of £100k, lenders may consider you for a maximum loan of £500k as opposed to net profits of £20k and a maximum loan of £100k. The difference is quite staggering! If you require a larger mortgage amount than your net profit allows you or you’ve been declined, speak to us today. Our expert advisors have access to the whole market, allowing them to source competitive mortgages for directors. As previously discussed, going to a high street lender as a self-employed applicant, isn’t really how you’ll maximise your borrowing potential, especially if you have retained profits in the company and show a low net profit amount. What documents will I need to prove my income? As your self-employed, lenders will ask to see documents to prove your income. Some lenders will ask for more proof than others, so we’ve listed them all below. It’s important to note that some lenders will require all of the above, with some lenders only requiring parts. The main documents that almost every lender will request when assessing mortgages for directors, is your SA302 forms. SA302 forms can be downloaded online from the HMRC portal. You can also request your SA302 forms via post, but it can take up to 14 days. Mortgages for directors with bad credit will be restricted as the number of lenders available become limited. Adverse credit comes in different shapes and sizes so there isn’t one rule for everyone. Lenders usually assess bad credit issues based on severity and how recent they are. Depending on the severity of your credit, you may need to consult a bad credit mortgage broker. Please note: The below doesn’t apply to high street lenders. 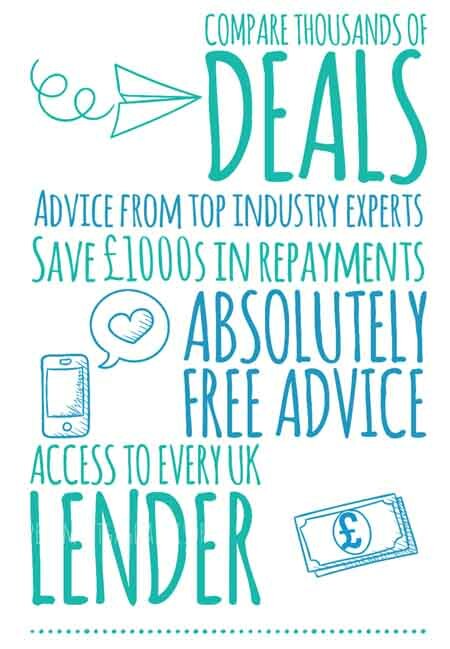 Information is written in respect of the specialist lenders our expert advisors have experience with. Late payments are considered to be light adverse credit issues and shouldn’t affect your mortgage application significantly. Even if you’ve had recent late payments in the last twelve months, securing a mortgage after late payments should be relatively straightforward. A mortgage with a CCJ is considered to be medium to high risk in the eyes of a lender. If you have a CCJ registered on your credit file in the past twelve months and the amount is less than £1000, then you should be able to secure a mortgage. CCJ’s over £1000 may be considered by specialist lenders, however, it will be difficult. Most lenders will accept CCJ’s of £2500 or under, as long as they were registered over one year ago. If your CCJ’s were registered over two years ago, then the value of CCJ’s doesn’t really hold any relevance. In this situation, there should be a fair number of lenders you can approach. Defaults are considered medium to high risk. If you’ve had a recent default in the last twelve months and the amount of the default was less than £1500, then your mortgage application should be approved. 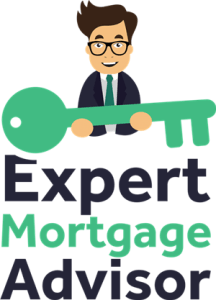 If you have a default of over £1500 in the last twelve months, then getting a mortgage will be very difficult, however a specialist lender may consider you. Any defaults that took place over one year ago, shouldn’t restrict you in any way. As long as the defaults were over one year ago, the value of any default is irrelevant. If you’ve conducted your financial affairs in a responsible manner, getting a mortgage with a default is highly possible. A debt management plan can show lenders that you’ve taken some ownership of your debts, which shows some financial responsibility. Debt management plans can be both low and high risk in the eyes of a lender. There are several specialist lenders who may consider you for a mortgage with a debt management plan, even if your DMP is still active. As debt management plans vary, they’re usually tailored to what your monthly outgoings are. The only difference is, if your DMP means you have high monthly outgoings, then your LTV may need to be lower. If your DMP doesn’t really affect your monthly outgoings in any major way, then you should be able to get a mortgage with a high LTV. Having an IVA is considered to be severe and high risk for lenders. If your IVA finished within the last twelve months, then you may find it difficult to secure a mortgage. You may need an astronomical deposit to sway the decision of a lender if you find yourself in this position. It’s highly advised to seek the expertise of an advisor before applying for a mortgage after an IVA. An IVA settled over one year ago will usually require larger deposits of around 20-25% and the chances of mortgage approval do improve. Specialist lenders may accept less if all your payments were made on time during your IVA and it was for a reasonable amount. If IVA’s happened over six years ago, mortgage approval should be straightforward, as most credit agencies go back to six years only. Bear in mind that some lenders will ask applicants to declare any credit issues such as IVA’s. This is why it’s imperative to go to suitable lenders in the first instance. Bankruptcy is considered to be high risk by lenders, as it’s one of the more severe forms of adverse credit. Every case is unique, so it’s best advised to speak to a specialist advisor regarding your options. With so many variable factors in each case, there isn’t one answer for all. Getting a mortgage after bankruptcy is still possible, even if it was recent. If your bankruptcy took place in the last three years, then you may require at least a 25% deposit. Placing your application with the right lender is vital in this scenario. If your bankruptcy was registered over three years ago, then you may be able to secure a mortgage with a 10-15% deposit. What’s important to understand is each lender has their own unique criteria to assess an application. In addition, lenders also assess self-employed applicants using varied criteria. If you have bad credit and also only have accounts for one year or can’t quite meet the requirements of a lender, then you may be restricted. If you’re still unsure, you can make an enquiry with a specialist who can guide you through what you need to do next in order to secure a mortgage. Read more about bad credit mortgages. If your company has filed a loss within the last three years then mortgage approval can be hard to come by. High street lenders will most likely decline your application based on being a high-risk applicant. Filing a recent company loss will provide the lender with doubt on whether a mortgage could be repaid, especially if the business appears to be struggling. If you declared a company loss two or three years ago, but showed a profit since, then specialist lenders may consider you. It helps to have an experienced broker on your side who can correctly place your application with the right lender. The broker can also then communicate with underwriters should they have any concerns. If the loss is due to a salary being drawn from the company, lenders may overlook this as you’ve still taken an income. This will require an experienced broker to explain this to the underwriter dealing with the application and may require additional documents to prove this, not to mention a specialist lender. If you’ve changed your trading type, for example, sole trader to a limited company, then it all depends on when the change took place. If you’ve changed your trading style three or more years ago, then it shouldn’t make any difference when applying for a mortgage. However, if it was in the last three years, then your options will be restricted. This is because lenders will treat your company as new, even though you may have held previous accounts under your old trading style. The majority of lenders will only be interested in your present company and it’s related accounts. As lenders usually require three years accounts, this is where problems can arise. In these circumstances, you will more than likely require a specialist lender. Our advisors can take a look at your current situation and advise you on what to do next and if there are any lenders who will consider your application. Some specialist lenders are designed for circumstances involving mortgages for directors, so they will consider accounts under your previous trading style. Sometimes accounts filed for certain tax years can be quite low. This may be due to the company’s startup years or it could be that there were unexpected overheads such as an amount spent on marketing or having to hire more employees. This can prove a problem with lenders who assess your company’s income based on the average over a certain period of time (usually three years). Most lenders will average the above as £19,333, as they’ll assess your maximum loan size based on 5x your income. Using the above example, the maximum loan size would be £96,666. The specialist lenders that we have access to may only require your most recent filed account. If a specialist lender was assessing your application using the above example, your maximum loan size would be £200,000. This is quite a considerable difference. If you find yourself in a similar situation, you can make an enquiry with one of our specialists. Remortgaging can be useful for when you need additional funds. Finance from a remortgage can then be used for a variety of things such as home improvements, purchasing a buy to let property, or even a treat such as a holiday. As a director, you may want to remortgage so you can invest in your business. In all honesty, getting a remortgage so that you can invest the funds in a company is very difficult, especially with lenders on the high street. There are a few specialist lenders that may consider a remortgage for business investment. If you find yourself in this situation, then you can speak to an expert advisor about this in further detail. Self-employed mortgages are one of our specialities. We’ve dealt with a number of applicants who have been declined by mainstream lenders and even brokers, to then contact us and get a mortgage approved within days. As each and every situation is different, you can make an enquiry with a mortgage advisor today and we can inform you of the best route in getting you that all-important mortgage. Previous articleWhat is a joint mortgage?